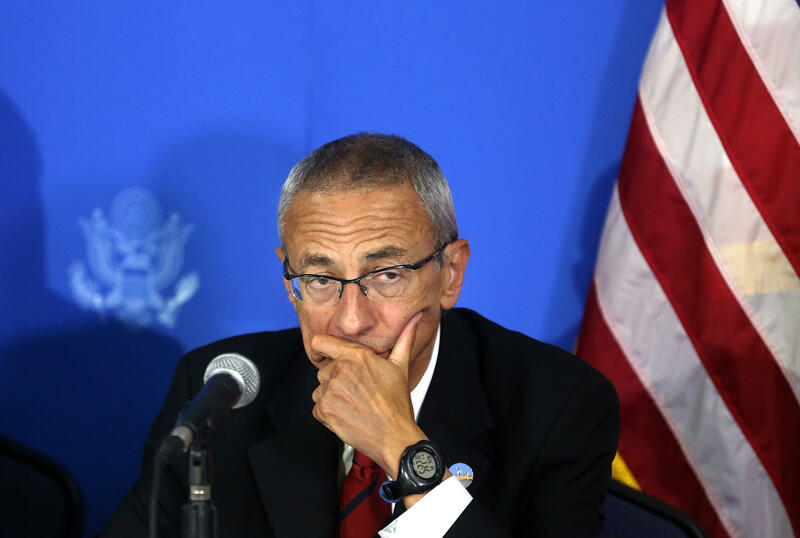 The WikiLeaks email dumps from John Podesta’s personal Gmail account keep coming. The latest batch on Saturday details how some of Hillary Clinton’s campaign aides felt about an adviser to then-Democratic presidential candidate Bernie Sanders, among other revelations. In one exchange between Clinton’s campaign chairman, John Podesta, and Neera Tanden, the president and CEO of the liberal think tank Center for American Progress (CAP), the two discuss a recently added adviser to Bernie Sanders. The email, with the subject line of “Faiz advising Bernie,” refers to former CAP vice president Faiz Shakir. Podesta wrote to Tanden that he gave Shakir “a very hard time” over the defection to the Sanders camp. Just as the controversial news on Hillary Clinton’s private email servers heated up, the campaign debated whether the Democratic presidential candidate should joke about the issue at an event with the pro-choice group EMILY’s List. “This is her crowd so the response would be great,” Schake said. But at least one person on staff -- Mandy Grunwald, a communications adviser to Clinton -- expressed discomfort at the possibility of joking about the sensitive news.